Accelerated Internship Opportunities and $150 Best Buy giftcards to winning team members! Use the next generation cellular IoT capabilities to improve sustainability indoors and outdoors! 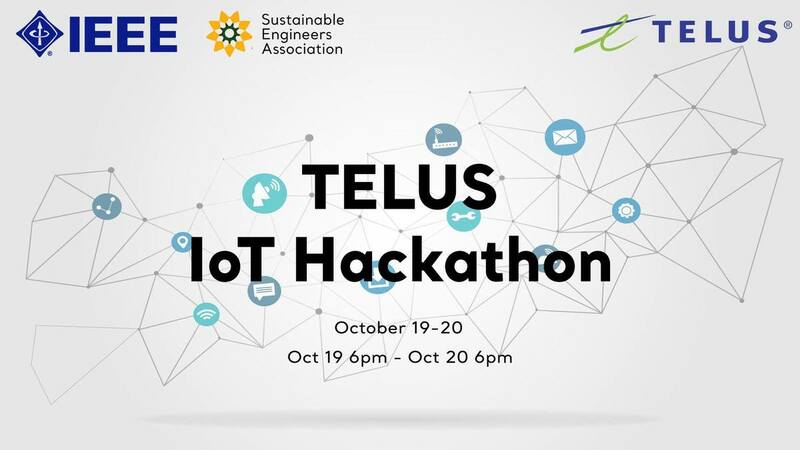 Come take part of a unique hackathon in partnership with Telus and their brand new, cutting edge, loT technology! Telus is a Canadian national telecommunications company that provides internet access, healthcare, IPTV television. The IoT technology is a piece of hardware that connect to a cloud and another device that can be accessed elsewhere, and is levels above the Arduino’s capacity. You will learn about this cellular technology and how to work with the cloud to find additional methods that IoT can improve workplace efficiency, save operation costs, and provide sustainable solutions! In just 18 hours, you’ll be able to come up with a demoable idea and project! The top winners will get an accelerated interview process for TELUS’s Graduate Technology Leadership Program and other prizes! -You don’t need any past experience to take part of this! A short description of your design and a demo video must be submitted as part of the submission package. Pictures are always welcome, but we do NOT need to see your code for the submission. Idea is original and described with great detail. Idea is useful in that it solves a problem, provides a service, or enables a significant function. Multiple peripherals are used to provide the necessary functionality required. Interfacing circuits are created with no problems. System is well-designed and all components with their respective interfaces are working and well-designed. No bugs are present and there is some handling of non-ideal components. Demonstration works flawlessly, is repeatable, and impressive. Demonstration is clear and presents the underlying design principles. Presentation is convincing and summarizes learnings, troubles, and deep understanding of technology used. Presentation is well rehearsed, demonstrate contributions by individual members, and reflect how the team was able to work effectively together.